Get your bike fixed on the Hotel L’aubergade Morzine terrace! Hotel L’aubergade Morzine is located super close to the Pleney lift in central Morzine making it the perfect place so pop by and get your bike fixed! 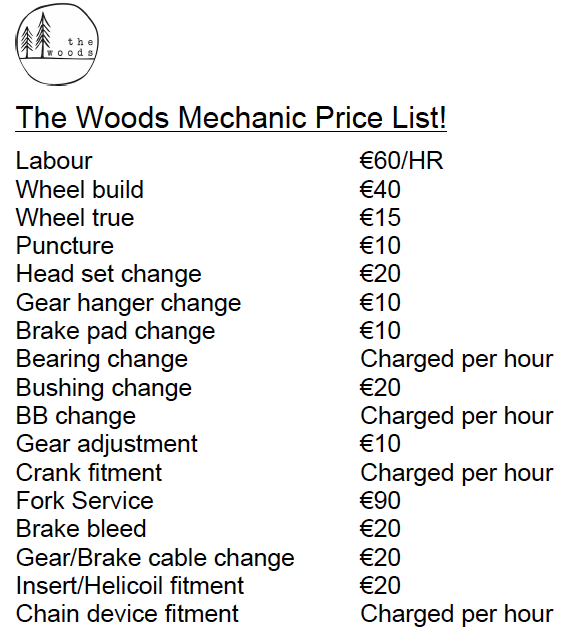 Check out the price list, hopefully you won’t need any repairs making but even so we have a FREE bike wash and a perfectly timed Happy Hour at 4pm till 6pm so you can swing by and wash you’re bike whilst having a tipple in the sunshine! Win Win! Previous: Chalet Chambertins’ Interior Uplift! Next: Hotel L’aubergade Morzine hosts the first Cider, Beer and Sausage Festival!